Here at Amelia's Bath Bombs, we aim to provide the very best bath time products and accessories at the lowest online prices. All products are handmade where possible with only the finest, natural ingredients and they are produced with high ethics and sustainability in mind. We pride ourselves our quality and low prices because you deserve the very best but it does not have to cost the earth. We regularly update our ranges and product lines, not just adding new soaps and bath bombs but gorgeous scented candles, bath time accessories and even special Christmas, Birthday and Valentines ranges because we know you want your loved ones to relax with the best products around. We even stock shower gels and moisturisers because you may not always have time for a soap but you should always treat yourself! So feel free to browse our ever-growing range of bath products and pick a few items at your leisure. 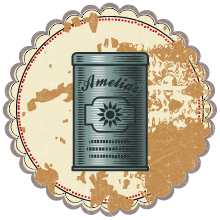 We're sure that you'll keep coming back for Amelia's unbeatable quality at some of the lowest prices available... Meaning you get to relax that little bit more, knowing you've saved while you soaked!